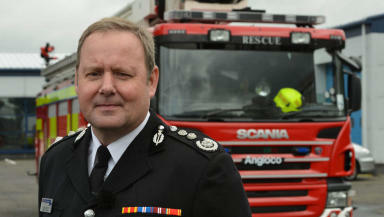 Alasdair Hay, Tayside Fire and Rescue’s acting Chief Fire Officer, was announced on Thursday. The first chief of a new national fire service has been named. Alasdair Hay, whose appointment was announced on Thursday morning, is Tayside Fire and Rescue’s acting Chief Fire Officer. His promotion comes after a decision to merge the existing eight regional forces in a major shake-up of fire and police in Scotland. Mr Hay was announced at Perth community fire station, which will serve as the interim headquarters of the new brigade when it takes over on April 1, 2013. Mr Hay, whose salary will be £165,000, was made interim head of Tayside’s fire service on April 1, 2012. Commenting on his appointment, Mr Hay said: "I am honoured to take this unique opportunity to shape and deliver the new single Scottish Fire and Rescue Service. It will allow us to sustain and improve the local services communities in all parts of Scotland depend on, to build on success and do more. The Scottish Government has claimed the single police and fire services will save £1.7bn over 15 years. Legislation to merge the regions received Royal Assent last week. 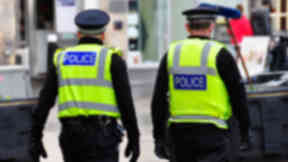 The Police and Fire Reform (Scotland) Act 2012 was opposed at Holyrood by Scottish Liberal Democrat and Scottish Green MSPs, who are concerned the Scottish Government will centralise and politicise the police. Recruitment is under way for a chief constable for the new national police force. Community safety minister Roseanna Cunningham, who made the announcement, said: “Mr Hay has the experience and attributes to be an outstanding first Chief Officer for the new single service. He has passion for the service and genuine commitment for the successful delivery of the new single structure.